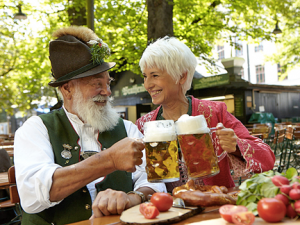 What to do in Munich when taking an airtaxi to Bavaria, Germany? Munich is the provincial capital of Bavaria and one of the most attractive business travel and tourist destinations. We have set-up a Top 3 what to do in Munich list: Enjoy the culture, the Bavarian food or unique events, such as the annual Oktoberfest. Munich offers a broad variety of activities and has the Alps in close reach. It is a popular destination and entices people of all ages. Arrive comfortably at Munich landing at Oberpfaffenhofen regional airport with your private aircraft and pilot and avoid long queues and traffic at Munich International Airport. 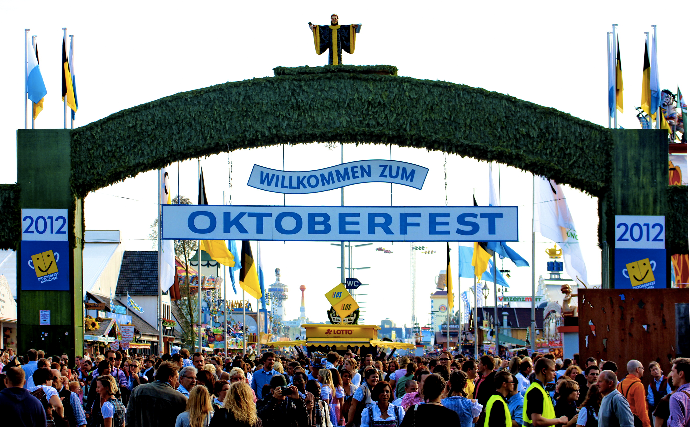 Oktoberfest is the most popular fair in Germany and is well-known all over the world. Since 1810 it takes place on the Theresienwiese (a large square in the city). More than six million people visit this beer festival annually. The “Bierpalast” (engl. 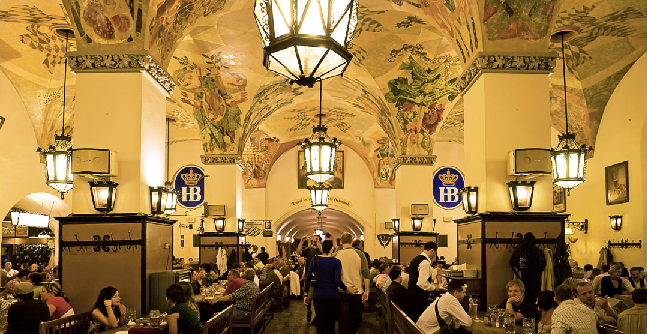 Beer palace) is located in the historic city center of Munich. It is a symbol of the Bavarian beer culture which goes back until the 16th century. Enjoy local cuisine, folk dance and listen to traditional music in a historical atmosphere. The english garden is one of the largest city parks in the world. It is 3.7 square kilometers large and possesses various streams, lakes and grasslands. Especially popular are the so called „Biergärten“ (engl. Lit. Beer gardens), where you can enjoy your beer sitting outside while enjoying the weather. Calculate Fly Aeolus’ prices from your origin to Münich on our price calculator. Off course you can always contact us via info@flyaeolus.com when there are any questions.